It’s quite a short and sweet round-up this month. See you again in April! Congratulations to Thanyia Moore who has won the 2017 Funny Women Award. Black Theatre Live, a national consortium of companies touring BAME-led work, have loads of interesting stuff going on including a national tour of Mountains: The Dreams of Lily Kwok which is currently running at Manchester Royal Exchange before going to London, Bury St Edmunds, Poole, Peterborough, Margate, Derby, Watford, Sheffield, Hexham and Coventry. Also check out this interview with Phoebe McIntosh whose play, Dominoes, is also touring now. Grumpy Old Women Live are just about to embark on a brand-new 60-date nationwide tour with To The Rescue from 28 March to 24 June. They seem to be going literally everywhere so hopefully they’re going to a place near you! 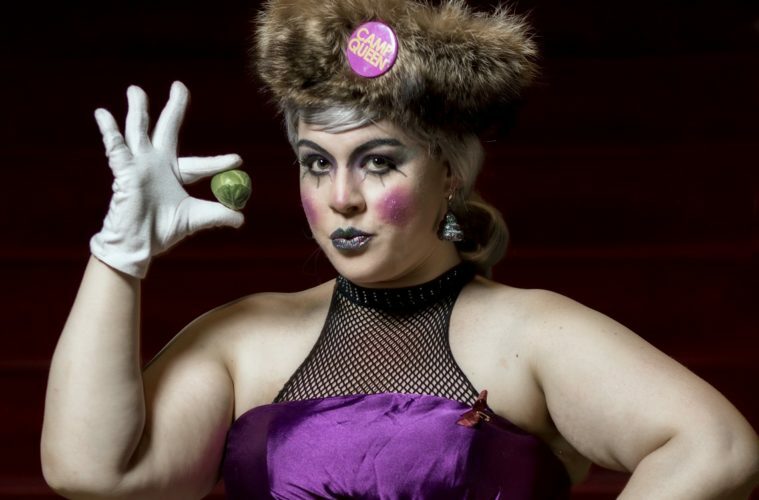 International Burlesque Hall of Fame winner and LGBTQI+ icon Rubyyy Jones presents The Ruby Revue on 4 April at Hackney Showroom; a glittering showcase featuring neo-feminist burlesque, drag queens, queer performance, gender blending, provocative lip syncers and shameless strippers. In Scotland, Dive Queer Party have announced a couple more dates, beginning with the Goddess Awards on Thursday 5 April, celebrating the divine feminine and the Goddess inside all of us and featuring a glittering line up of strong and powerful feminine energies. Homage will be on Thursday 7 June. Both events will be in the Gilded Balloon’s Basement Theatre and will raise money for Waverley Care, Scotland’s HIV and Hepatitis C charity. Ahead of a UK tour, Coconut will open at Ovalhouse from Wednesday 11 until Saturday 28 April. Based on the writer’s own experiences, this production explores Guleraana Mir’s first-hand knowledge of interracial and intercultural relationships as she asks, do you ever feel like you’re constantly disappointing people? US “smart, brazen and straight talking” standup Iliza Shlesinger will be performing at the Lowry in Salford on 16 April, the Southbank Centre in London on 17 April, the Glee Club in Birmingham on 18 April followed by other European venues. Tumble Tuck will headline the Who Runs the World? 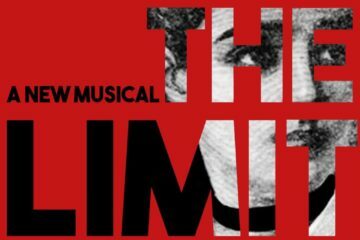 season at the King’s Head Theatre, Islington from Tuesday 24 April until Saturday 12 May. 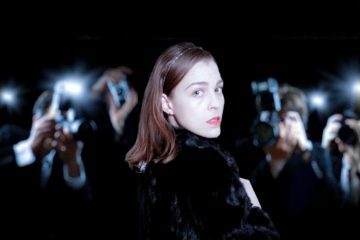 It’s described as a funny, brutal and heartfelt one-woman show that seeks to examine the self-worth of young women today and emphasis we place on winning when sometimes just taking part is the real achievement. And lastly, I should have given them a shout out before but check out the Bechdel Theatre podcast. Hosts Beth Watson and Pippa Sa talk gender representation on stage and all things to do with women in theatre with a different special guest on each episode. They also feature discussion of current and upcoming Bechdel Test friendly theatre shows. Image one is courtesy of Dive Queer Party. It shows a performer in dramatic clothing including a purple satin dress, a furry hat and white gloves holding up a Brussels sprout in their right hand. They purse their lips and look directly at the camera. They have a full face of make-up including painted on eyelashes, a lot of blusher and glittery lipstick. Image two is courtesy of The Thelmas’ Coconut. It shows performer Guleraana Mir looking worriedly at the camera with both her hands held up. 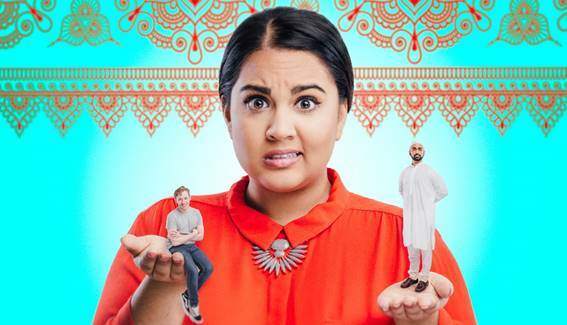 In her right hand is a tiny version of a white man in jeans and in her left hand is a tiny version of a British Pakistani man wearing a shalwar kameez. She herself wears a bright orange shirt and is in front of a blue background. This post was edited on 20 April 2018 to remove incorrect information about the tour dates for Dominoes.